Soul Growth means we are engaged with our Divine purpose and living from a place of harmony, love, empowerment, passion, authenticity, and vision. We are not only feeling empowered, but we begin to mature to a place of empowering others. We become the teacher, rather than a student of life. Rev. Cynthia Alice Anderson has been serving as senior minister at Christ Church Unity in Orlando, Florida since 2007. Under her spiritual leadership, Christ Church Unity continues to be a thriving ministry of community outreach, diversity and soul growth. Christ Church Unity is a welcoming community, dedicated to transforming lives, celebrating diversity and supporting soul growth. Rev. Anderson recently wrote 7 Spiritual Laws of Release and it is in its 3rd printing currently. She has two other books: A Grateful Life: 30 Days of Conscious Gratitude is a 30-day mindfulness and prayer book and her prosperity book, PRSPRTY 4U is currently being taught in churches around North America. Rev. Cynthia Alice Anderson began her life of spiritual service at the age of 15, when she began working part time in her home church, Red Oak United Methodist Church in Red Oak, Georgia. She earned a bachelor of arts degree in performance from Seattle Pacific University and was awarded an Excellence in Teaching scholarship from the Target Corporation. Beginning in 1998 Rev. Anderson began serving in Unity churches. In 2003 she was licensed and ordained by the Association of Unity Churches after completing her ministerial education program at Unity School of Christianity in Unity Village, Missouri. Rev. Anderson served as chair for the Unity Worldwide Ministries’ Prosperity Team. The 12 Powers are innate abilities that we all have. They can be activated through different areas, or centers, in our physical body. Unity co-founder Charles Fillmore also related them to Jesus’ twelve disciples, and when these twelve powers are awakened, we are connected to our Christ-Self. Designed to accompany the PRSPRTY4U book, these meditations and affirmations will support your soul’s growth and manifest God’s blessings in your life. Music and Narration by Shannon Kropf. Words and text by Reverend Cynthia Alice Anderson and Shannon Kropf. 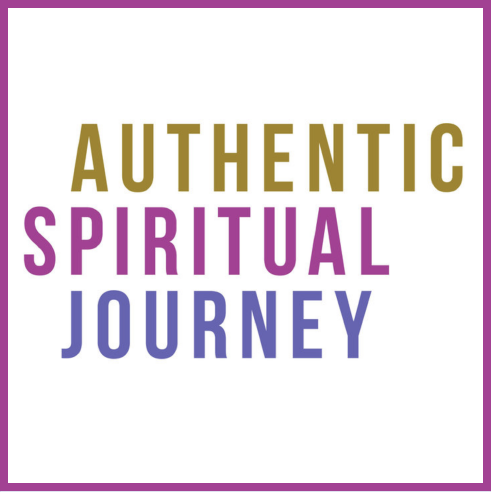 Weekly spiritual conversations between spiritual souls on an authentic spiritual journey. They are as diverse as they are wise, and share their learning in real-time. You will be surprised, touched and nourished by the stories, conversation and spiritual insight.